The first two pictures are lameds entering under another lamed above them. It is accepted that they are kosher. The last two pictures are lameds entering caf sofit, which seem to be pasul, because the caf has changed somewhat to a tall hai. 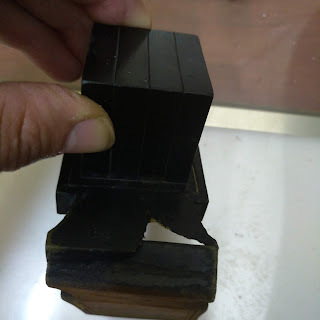 The question I have is - since probably the sofer started the lamed by making the vav on top, then the upper lamed has turned into a problematic shinuy [as explained in my post above - kuf resembling a lamed] it was a half lamed half kuf, so why should we machshir these lameds? Explanations or other opinions will be very appreciated!! the Mekubal Psak(Rav A.H. Wosner USA) about lamed in lamed is as long as it only aligns with moshav/zanav its kosher however if it is higher it is not kosher. regarding lamed into final chaf- Rav Akiva Eiger 32-31 paskens (also M.B. 32-131) its kosher-the mekubal psak is that if yo draw a slanted line fro the beginning of th erosh to the bottom of the regel and the lamed is outside then its kosher. 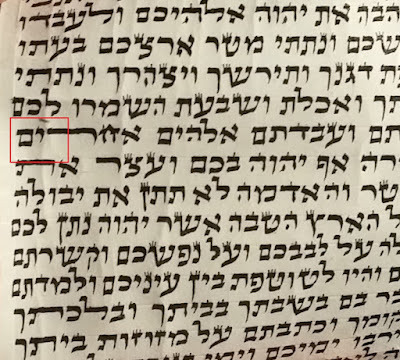 regarding the svara that it was a hey see avnei nezer siman 3,4,5 that although now nikar that its a lamed -since it looked like a hey and got back the tzuras dalet by an action other than writing this os it is "worse then chok tochos"
But I am still mixed up. As you wrote from Avnei Nezer if at the time of making the rosh of lamed it paseled the letter above, that letter is pasul and must be erased. 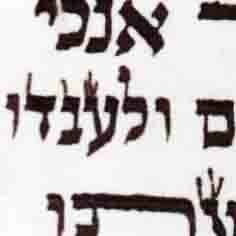 The continuation of guf of the lamed is a type of chok tochos that can't automaticaly make the upper letter kosher. If so, there indeed should't be any difference between a lamed entering the caf or the lamed? If we accept the psak of MB quoted, they all should be kosher bdieved [unless total shinuy tzura as explained in MB there]. Thanks for your input, maybe you can clarify the details more. In this particular shailo R' Shammai paskened that it was kosher without a shailos tinnok. He mentioned also that here it wasn't "so bad" like in other shailos (of this kind.) In regards to a letter going into the chalel of a reish, daled, or chof R' Shammai will evaluate the shailo by looking it at first in a simple way without covering other letters or looking to see exactly where the ois goes in. That's what was done here in this case and therefore was machshir based on what he saw. R' Shammai paskened on this shailo to ask a tinnok. He first thought to maybe cover the entire letter besides what mamash goes into the space of the lamed. Then thought to maybe cover the bottom of the bottom lamed leaving the rosh and what's below to show to the tinnok. Finally his final decision and psak was to not cover anything when asking the tinnok. He described this case as "worse" than the other shialo. However did say that the tzurah of a Kuf lichatchila is that the regel should be higher and doesn't start so low. I didn't ask him this but I'll mention this now, would such a tzurah by a kosher Kuf? Mistama, no? Two general points he made is that this shailo (when it's a chof) is generally more kulo-dik then when it's with a hei or daled. As well he told me b'shem R' Moshe Feinstein (maybe someone can tell me where the teshuva is) is that when the lamed is written outside of the chof and then goes in it's more kal since you see where it's coming from and really not shayach to the lamed. In these case here he covered the letters (at the end of the gag of the chof) to see how far the lamed was sticking out. In this case only a little bit. But was good to get this clal. Any thoughts, please share! The svara "not shayoch to the lamed" [you mean "the caf"]!!? can you use the same svara in case a lamed entering a dalet or reish? 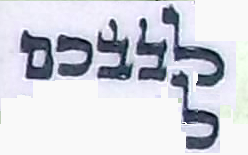 There is the svara of Maharshak (and Rav Pe'alim adopts his svara) - that any lamed entering another letter is realy not a problem because the guf of the lamed is moichiach [as you wrote] they say it is only a problem of maris ha'ayin. But the oilam holds that a lamed entering a dalet is mamash a problem! The tshuva of Reb Moishe is Yore Dea vol.1 p. 333-4. Yes I mean chof, thank you! Could it be used for a daled or hei? Don't know! I hear the savarah very well but like you said the olam does take the shailo by a daled more seriously. I suppose it would depend on how much of it is out of the space and inside, etc. I'll look at the Igros Moshe inside.